Most cases of hypothyroidism are actually caused by Hashimoto’s. 90-95% actually! Hashimoto’s is the leading cause of hypothyroidism. Due to the fact that it is not routine for conventional physicians to run thyroid panels that include testing for TPO (thyroid peroxidase) antibodies and thyroglobulin antibodies, most people do not know they have Hashimoto’s. It is not routine to check because conventional medicine doesn’t treat the two differently. However, they are two different pathologies. Hypothyroidism is a low functioning thyroid gland, which doesn’t produce enough thyroid hormone. Hashimoto’s is an autoimmune disease in which the immune system attacks the thyroid gland. Both diseases may result in similar symptoms, but one is a thyroid disorder and one is an immune system disorder. It would make more sense to look at the root cause of the dysfunction of the immune system in the case of Hashimoto’s, yet both are commonly prescribed Levothyroxine®. This is like throwing a bandaid over the problem. It may provide some symptomatic relief, but it doesn’t stop the deterioration and attack of the thyroid gland. What does it mean to treat the Root Cause? Our approach is completely different. We look at the root cause of each disease and ask specific questions in order to get a clear picture of what needs to happen to stop and even reverse the disease. 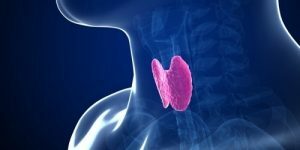 Why is the thyroid not functioning correctly? Why is the immune system over stimulated and attacking its own body? What stress is the body under? 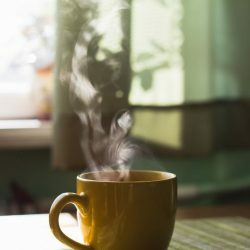 Is there a toxic overload in the body? How is the gut functioning? Is there an infection? 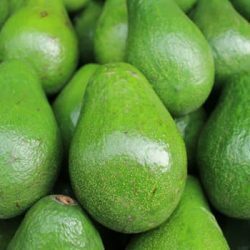 What nutrient deficiencies are there? These are just a few of the important things we are going to look for. If we can find what the body is reacting to, AND eliminate it, the body will return to a state of normal functioning. It wants to function properly! The body, and the immune system, are amazing! If your body isn’t feeling like it is functioning optimally, that is your body’s way of talking to you. Will you listen to it? If you don’t, one day it will yell to get your attention. We want to reprogram the body before the yelling gets too loud. We may use a combination of treatments including Nutrition Therapy, Acupuncture, Love, and Chinese Herbal Medicine. Although we look at food intake and nutritional changes as the top line of defense in most illness, it is especially relevant in an autoimmune diseases such as Hashimoto’s. Food is information, instructions for our cells to function. This is forgotten or ignored by both patients and doctors. Patients with Hashimoto’s are likely to have a dysfunction in the gastrointestinal tract. In most cases the gut lining has become hyper-permeable and causes the immune system to become stimulated to unrecognizable foreign food particles. You may have heard the term “leaky gut”- this is what we are referring to. Leaky gut is known to cause autoimmune disorders and therefore, the gut is one of the first things we want to heal. Changing the diet alone can have a tremendous effect! Ok, so we have to talk about gluten. This has become a hot topic and many people think going on a gluten free diet is a fad diet. We can call it whatever we want but ‘fad’ is not the word that comes to my mind when I see significant improvement and relief of symptoms on a daily basis. I call this nutrition therapy, or amazing, or miraculous, but not a ‘fad’. It truly saddens me when my Hashimoto’s patients tell me “my doctor says its not a gluten thing”. With all do respect doctors, you do not have a nutritional leg to stand on. We all have opinions, but our opinions don’t help our patients. RESULTS DO. When eliminating gluten from the diet, most patients report remarkable improvement. Check out this short article from Hashimoto’s expert Izabella Wentz HERE! If you want to learn more about our root cause treatment approach and how Nutrition Therapy, Acupuncture, and or Chinese Herbal Medicine can benefit you, call us! 720-900-4372. We are here to serve! Are you ready to love your immune system and take control of your life?! Up Your Vitality! Click HERE for your FREE initial consultation at our Denver acupuncture clinic. 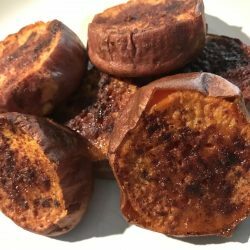 01Spiced Sweet PotatoesSelf LOVE is the Answer ~ A guest blog by a LOVEly friend.